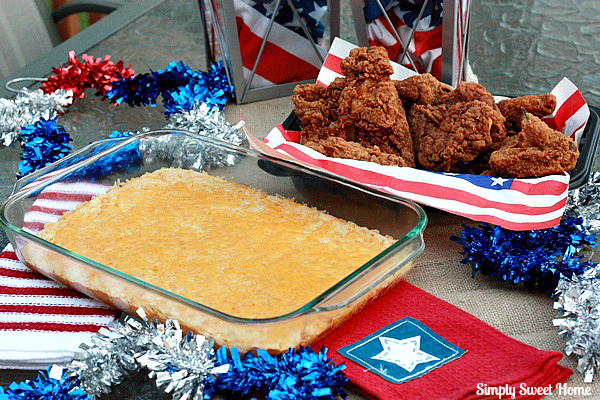 Today I’m going to share some ways I beat the heat when planning my party menu, and I’ve also got a recipe for an easy side dish you can make for your upcoming picnics and barbecues: a corn casserole! 1. Don’t cook; order out! There are so many great meal time options to keep you out of the kitchen. 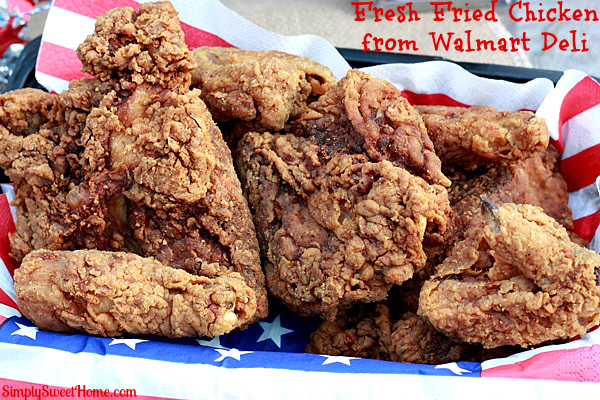 For example, you can visit the Walmart Deli and pick up some of their fresh fried chicken! Walmart sells their bone-in chicken as single pieces, and then they also have an 8 piece grab and go bucket (perfect for a family of 4), and if you call ahead you can even order buckets of their chicken in bulk (they have 50 and 100 piece boxes). 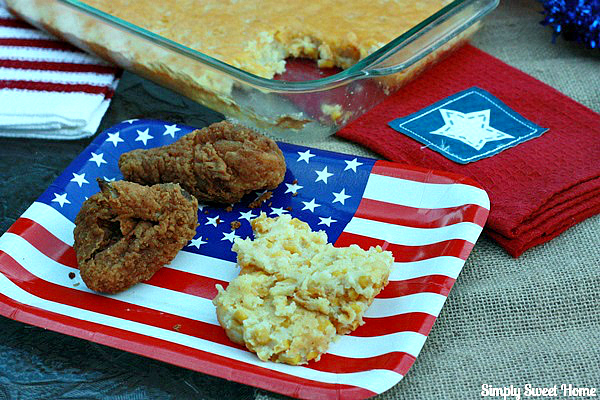 The chicken tastes delicious and it goes great with a variety of down home country sides like mashed potatoes, baked beans, and corn! Apart from their fried chicken, Walmart also has their popcorn chicken, chicken fingers, hot wings, and rotisserie chickens, all of which, my family just loves! The chicken may purchased from the Walmart deli counter during day time hours. 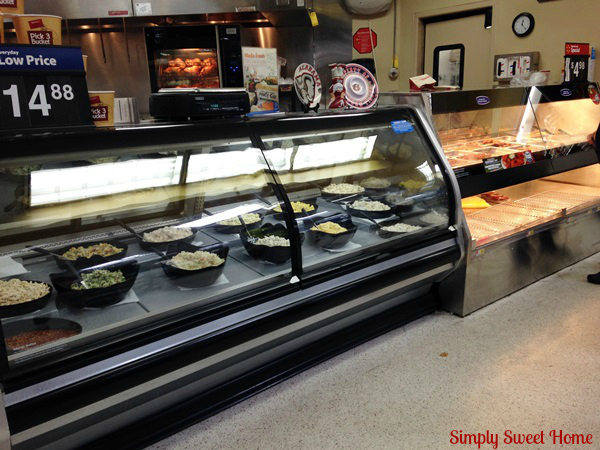 You may also find your chicken selections at the deli kiosk (similar to the one above). These are usually located at the front of the store, near the registers. You’ll find items their throughout the day and after the deli closes while supplies last. 2. Get store bought sides and rolls. 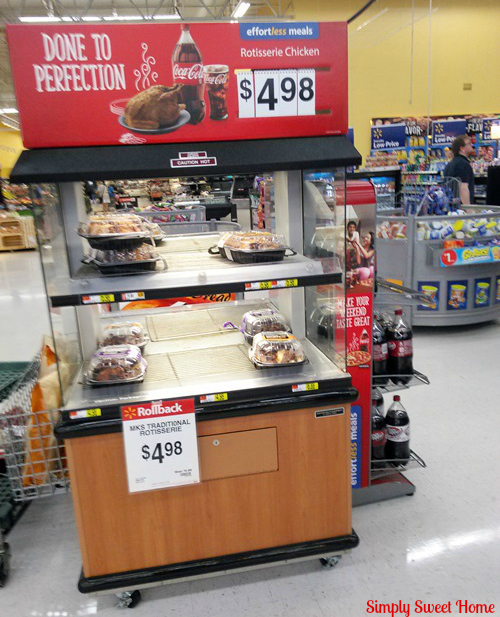 While you’re shopping at Walmart for chicken, consider taking home a few of their deli sides. They have delicious potato wedges, potato salad, and macaroni & cheese. The deli also has a great selection of baked breads and rolls. No slaving over a hot stove and no heating up your house with a hot oven! 4. Serve foods that don’t need to be cooked. This includes raw foods such as a ham & cheese tray, fresh fruits and vegetables, chips and dip, and a simple salad. 5. Serve cool desserts. Simplify dessert time and keep your kitchen cool by sticking to no bake desserts. Trifles, parfaits, and puddings are always a big hit. They are easy to make, and they even look pretty! 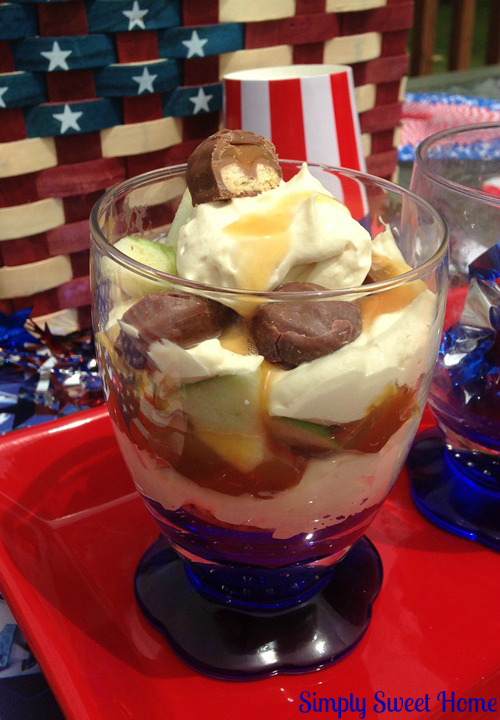 My Ultimate Uncooked Banana Pudding is a popular favorite dessert at my house and here on the blog, and the Caramel Apple TWIX Parfaits are fantastic! You can also just serve a little ice cream to your guests (especially homemade). Frozen drinks are also a big hit, and snow cones are great for the kids. 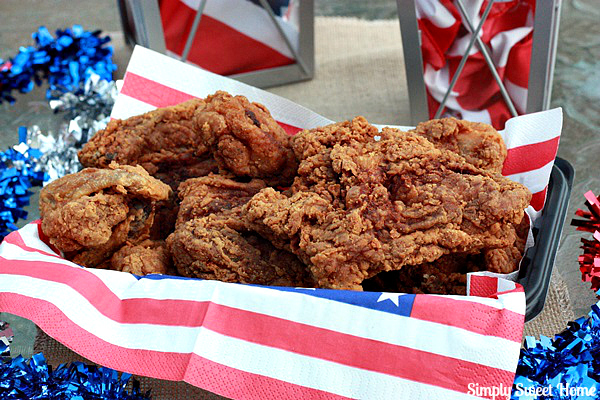 If you’re still racking your brain about what be good to serve alongside your own fried chicken, I have a great recipe idea for you. I personally LOVE corn…fried corn, corn on the cob, cream corn…you name it! 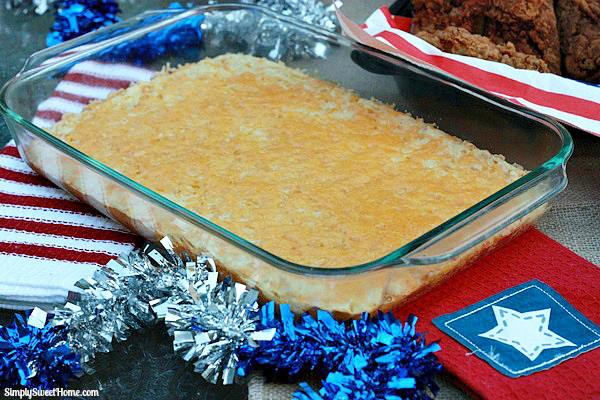 Here’s my recipe for Corn Casserole! In a bowl, stir together the 2 cans of corn, corn muffin mix, sour cream, and melted butter. Add half a cup of shredded cheddar cheese. Pour mixuture into a greased 9 by 13-inch dish. Bake for 45 minutes, or until golden brown. Do not overbake. Return to oven for about 5 minutes or until cheese is melted. 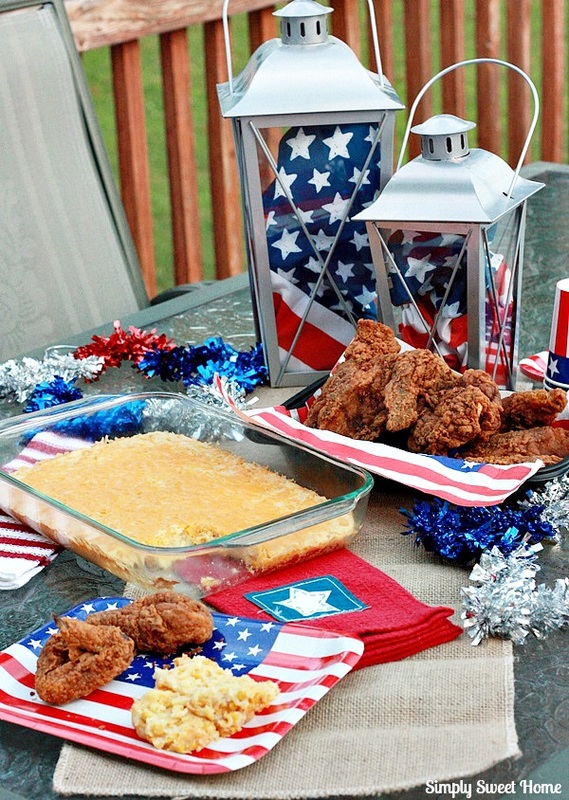 Planning a cook out for Father’s Day or the 4th of July? Please comment and tell us something that will be on your menu! Thanks for the recipe. Pinning and serving at my 4th of July party. Thanks Virginia! Hope you enjoy! Yum, everything looks tasty! 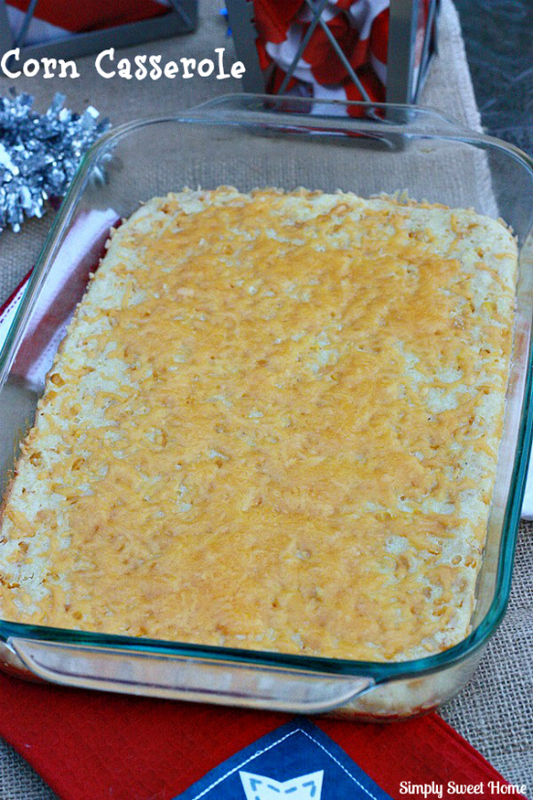 Thanks for sharing your recipe and your tips with us at the Merry Monday link party. Hope you’ll link up with us again next week! Sharing your post on Twitter!